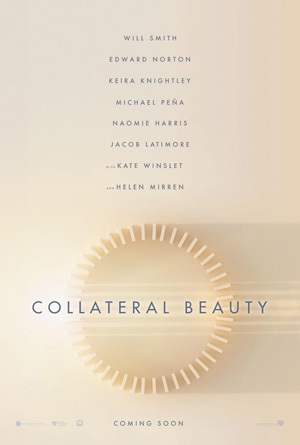 Will Smith, Edward Norton and Keira Knightley star in the drama Collateral Beauty. Watch the movie trailer below! A successful advertising executive (Smith) retreats from his life after experiencing a personal tragedy. When a successful New York advertising executive (Will Smith) experiences a deep personal tragedy and retreats from life entirely, his colleagues devise a drastic plan to force him to confront his grief in a surprising and profoundly human way.